For more than 13 years, Country Ridge Stables has been providing top quality horse care and training to help horses and riders realize their full potential. Staffed with experienced, professional trainers, managers, and grooms, Country Ridge Stables offers training for horse and rider alike in a safe and welcoming atmosphere. Built by the Santowski family as a home for their daughter Amanda’s horses, the stable has become a place where riders of all ages and abilities can move to the next level in their training in a friendly and pleasant environment. At Country Ridge Stables, we are very proud of our facility and the amenities that we provide. 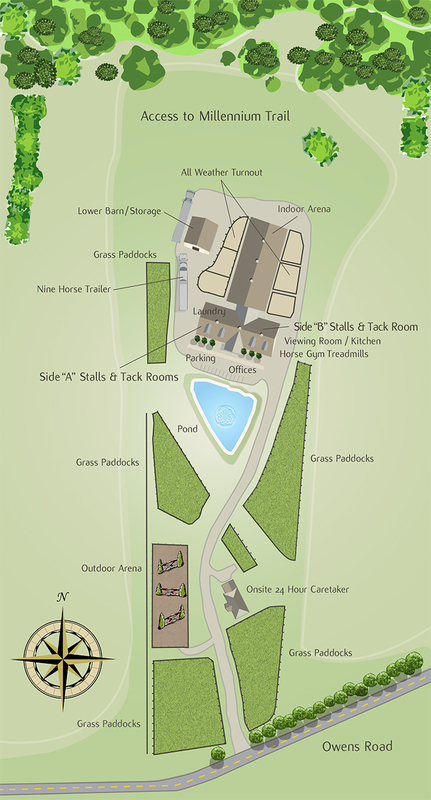 Considerable time and thought went into the design and construction of the entire facility, including the main barn and riding arena. As a result, at its completion in 2006, Country Ridge Stables was chosen Horse Facility Building of the Year by the National Frame Builders Association. There’s more to discover about Country Ridge Stables.